The 38th District Court (known as the Eastpointe Court) and the 39th District Court (known as the Roseville Court), are neighboring district courts in the southeastern part of Macomb County. Districting is based upon several factors which include density and traffic. 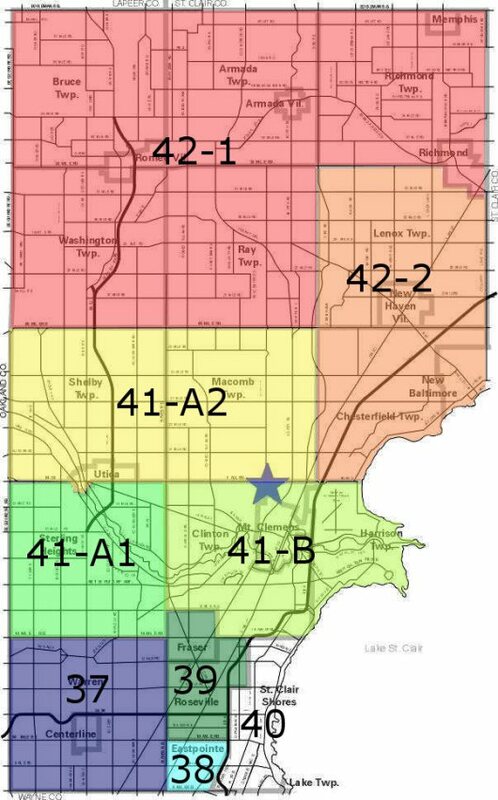 As the above map illustrates, these districts are relatively small in relation to other districts in Macomb County. They cover a combined geographic area of approximately 20 square miles, compared to the 42-1 District in Romeo which encompasses an area of 180 square miles.